Use a dynamic triangle to explore the area of a triangle. 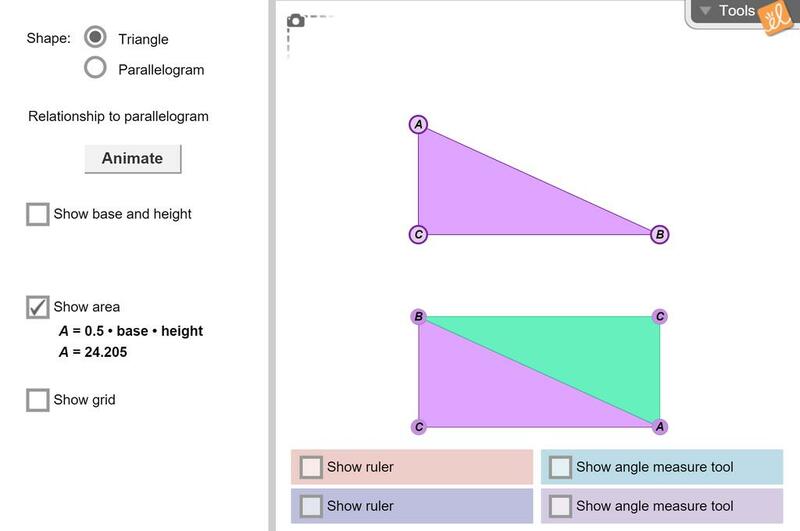 With the help of an animation, see that any triangle is always half of a parallelogram (with the same base and height). Likewise, a similar animation shows the connection between parallelograms and rectangles. Use for 5 minutes a day. A worksheet made from the exploration guide for student use. Subscribing teachers can download lesson materials contributed by other teachers, as well as contribute their own lesson materials for Gizmos. For information on how to subscribe, please contact us. No recommendations have been submitted for this Gizmo.